True leadership to me is being fierce, selfless, and open. It’s really putting yourself on the front line, leading by example, taking risks and responsibility, being accessible and humble, yet working relentlessly towards building your business and pushing it forward. True leaders have grit, battle wounds, but still kind eyes and a beautiful soul with a story to tell. Shari Stein Curry has a passion for progressive beverages. Her discerning palate is what continually drives her to find that perfect balance between health driven ingredients & beyond- delicious flavor profiles. Born and raised outside of Philadelphia, PA and a Villanova graduate, Shari spent nearly a decade in her 20’s working in New York City with fortune 500 companies in the business, customer relations, and sales sector. However, in 2010, when Shari moved to Oakland, CA for her husband’s career, her calling to work in beverages started to truly unfold. 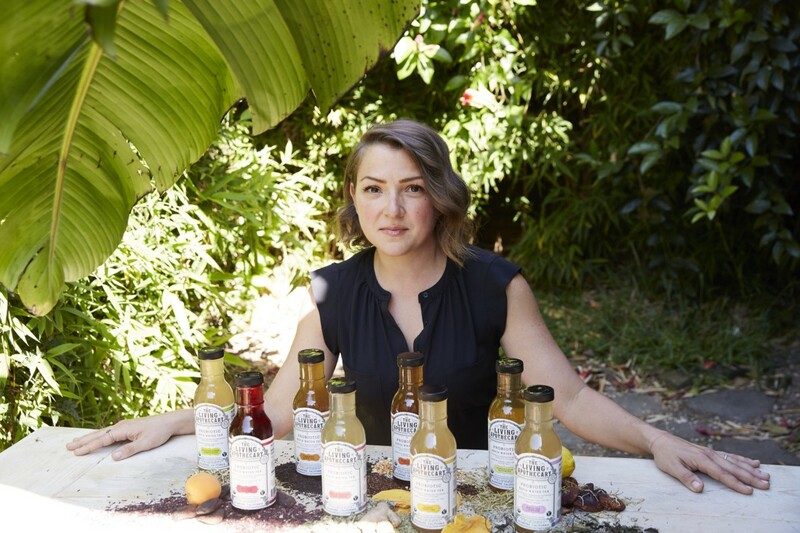 She saw gaps in the industry and upon meeting her business partner in 2011, The Living Apothecary was born. Six years and a lot of research and development later, The Living Apothecary has grown to an over $1M gross revenue business and has big goals for 2019 and beyond. Shari remains a co-founder and leads the Business/Product Development and Growth Team. When she isn’t working Shari loves spending time with her 5-year-old daughter, husband, and friends cooking, relaxing, and making fun beverages on the weekends. My mother always told me that when I was a little girl I’d spend hours in the kitchen making what she called concoctions. I’d be mixing all sorts of ingredients together out of sheer curiosity and delight. While I’m sure I made a mess in my childhood kitchen, my passion to play mad scientist and to mix things together to create something new was a very big part of me from a very early age. Fast forward 30+ years and now it all makes sense! I spent a large portion of my twenties slogging away in New York City, working at jobs that didn’t inspire me but paid the bills to live in a spectacular city. And while New York definitely fed my soul, I just knew something was missing. Upon moving to the Bay Area for my husband’s career in tech in 2010, my own career’s life path really began to take form. I just knew I wanted to get into the beverage industry and quickly began to suss out how. It was 2013, less than a year into launching The Living Apothecary. Traci (my business partner) and I had two farmers’ market stands on the weekends, a few wholesale accounts, and produced out of an incubator kitchen (one of the first of its kind) during the weekdays. Oh, and I was over 30 weeks pregnant! Well we had just finished producing a batch of cold pressed juices (yup — before our Probiotic Teas we used to make cold pressed juice), and we were loading up our Scooby Doo-style van when we realized the club on our steering wheel was stuck, and we couldn’t get it off. Well, I was pregnant-tired and not having it. So I squeezed my way into the driver’s seat and drove us home, club on steering wheel and all. There was no way I was waiting for AAA ☺ . The determination of a pregnant woman is not something to mess with. And yes, we made it home safely! That is a really hard call. I believe almost every mother on the planet would call being a mother the biggest but most rewarding life challenge. Especially when you have a future girl boss on your hands! But professionally my biggest challenge has been just never getting to a place even for a moment where it’s smooth sailing. Being a CPG entrepreneur, life is a constant roller coast and you basically bleed your brand. It becomes your entire life. So, while it is a broad answer, I really think the biggest challenge is feeling overwhelmed by all of the action items, game plans and goals you set forth, but having only so many hours in the day with a self-funded start-up bank account balance! These days we have more resources, but my advice to aspiring entrepreneurs is that before you just go for the ride, work as hard as you can, and truly believe in your product. The ability to overcome this challenge is in the unwavering belief in your brand. True leadership to me is being fierce, selfless, and open. It’s really putting yourself on the front line, leading by example, taking risks and responsibility, being accessible and humble, yet working relentlessly towards building your business and pushing it forward. True leaders have grit, battle wounds, but still kind eyes and a beautiful soul with a story to tell. Giving others the room to grow to their full potential is huge as well. It takes a village, and a village that is compassionately supported and believed in will thrive. That is a definite tie between my husband and my business partner Traci Hunt. Traci and I are the yin to each other’s yang. We’re tough, we don’t back down, but we also have such different talents and strengths that are complementary. 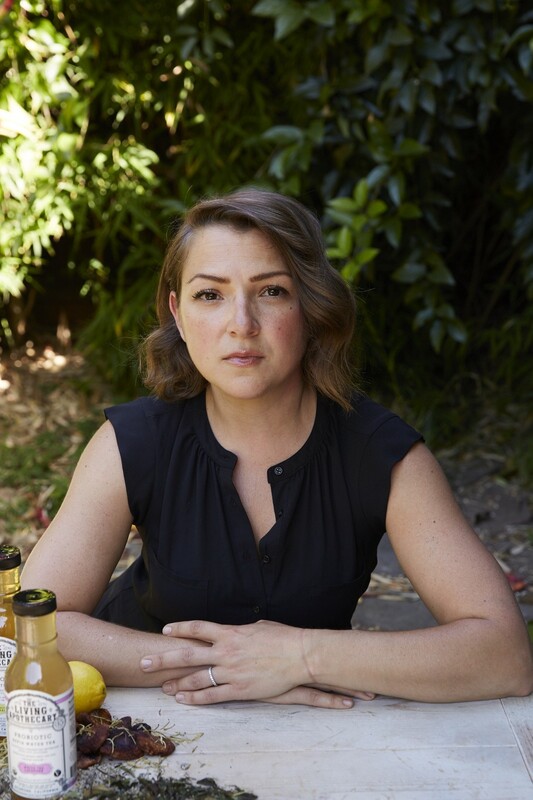 In 2011 I was working as a farm-to-table Cocktail Program Manager at a high-end restaurant in Berkeley, CA where Traci worked as well. Night after night we’d talk about wanting to be business owners in the beverage space over glasses of wine, and one particular night she approached me with a Vanity Fair article on a certain beverage company’s success…and the rest is history. I took that same article to my husband and over dinner one night laid out the plan. Without his continued belief in me and our brand none of this would be possible…none of it! Absolutely. I think it’s a continual work in progress. If you are a super driven business owner you just have to accept that your business will become your life, because that is what it takes to make it in most industries, but especially the super competitive functional beverage world. For me, it’s really about giving myself small graces. Room here and there to be good to myself, to nourish my soul so I can then nourish my family’s. Whether that means sneaking in that morning barre or boxing class/video, taking a longer lunch, or letting it all go on a Saturday. Just stopping and looking at the sky and remembering why you do what you do is invaluable. Also sneaking away for a beach vacation here and there is an absolute must. Yes, 100%. For a period of time I think you have to make sacrifices for your success and that is okay. My social life definitely takes a back seat. There are some stretches where for months my workout regime is totally affected, but you do come out of it, come up for air so to speak, and find ways to realign. I think I will forever have mom guilt too. But I just try to remind myself that I am raising a strong, fearless daughter who see’s her mom really going for it, and we just have to hope that means something too. I may not be the mom that is crafting on the weekend, or on the PTA board, but I’m there where it counts. In general it’s an ebb and flow. Sometimes you go deep and then you re-balance. Set limits. Okay today I am going to work from 8 to 5 and then I’m turning it off and spending time with my family. You can drive yourself berserk without down time. The phrase if you want something done right, do it yourself is a hot no! Delegate, delegate, delegate. You can always have the final once over. But you must trust others to do their job. Build a solid team around you to support you, but also give them the room to grow and self manage. That’s optimization! Trust in your path. The road to accomplishing our goals is never straight. Don’t resist what the Universe is telling you. Work hard, listen to others, see the bigger picture and roll with it. Take time to laugh at it all. We get so serious and stressed, but good decisions rarely come from a place of stress. At the end of the day we are all just human beings sleeping, breathing and walking this world, trying to figure it out. Don’t hesitate to reach out to other leaders for support. Most every time I have ever reached out for support or with questions to other business owners, even in the same beverage space, the response has been overwhelmingly positive. We are in this together…spread the positivity, and be giving and kind. What gives me the greatest sense of accomplishment isseeing perfect strangers really enjoying our beverages. When we get stories or messages on Instagram of people that take the time out of their day to take a picture of our Probiotic Teas and say, “Hey, thank you for making something healthy that tastes so good,” is everything. I especially love when we get photos of children drinking our Probiotic Teas, and moms or dads giving thanks! To this day my daughter loves our Hibiscus Apricot flavor…she calls it red juice. I think if I could start a movement it would be something like #COMPASSIONATEHUMANS. I feel that would be life changing on so many levels. So many people live their lives coming from a place of fear of what they don’t know. Hate is an energy sucking, learned behavior and largely stems from fear of the unknown or the different. I think the more people that learn to lead their life with compassion towards others, one by one, really can make huge change. From the person sitting next to you on a plane, or the person behind you in a supermarket line…it’s the small connections that bring all different walks of life together. It would be great to start a foundation one day that teaches compassion through seminars, workshops, school visits, a TED Talk style inspiration speech series, etc. The ideas and amount of fearless leaders who could take part are endless. And of course, we’ll need to stay nourished with The Living Apothecary’s Probiotic Teas ☺ Compassionate humans need healthy guts! @livapothecary on Instagram / www.facebook.com/livingapothecary and you can reach out to me personally on LinkedIn. Just search for Shari Stein Curry.